PDI Povidone-Iodine Prep Swabs provide longer germicidal activity than ordinary iodine solution and are nonirritating and virtually non-stinging for better patient comfort. 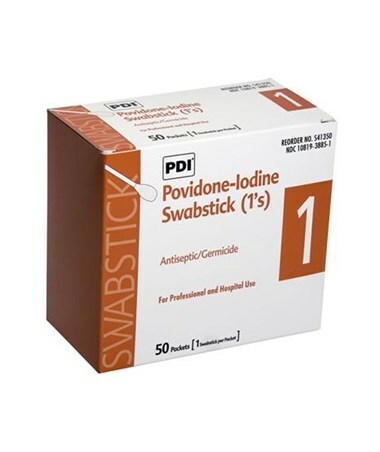 They're perfect for venipuncture, I.V. starts, kidney dialysis, pre-op prep, and other minor invasive procedures. 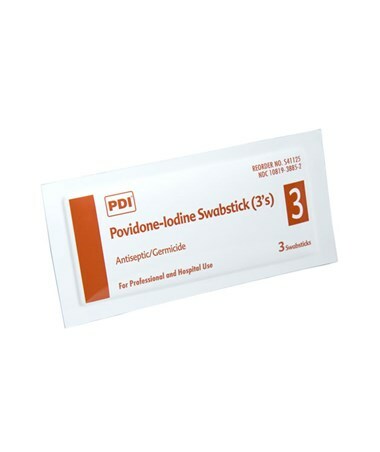 The swabsticks are saturated with a 10% povidone-iodine solution with detergents equivalent to 1% available iodine. 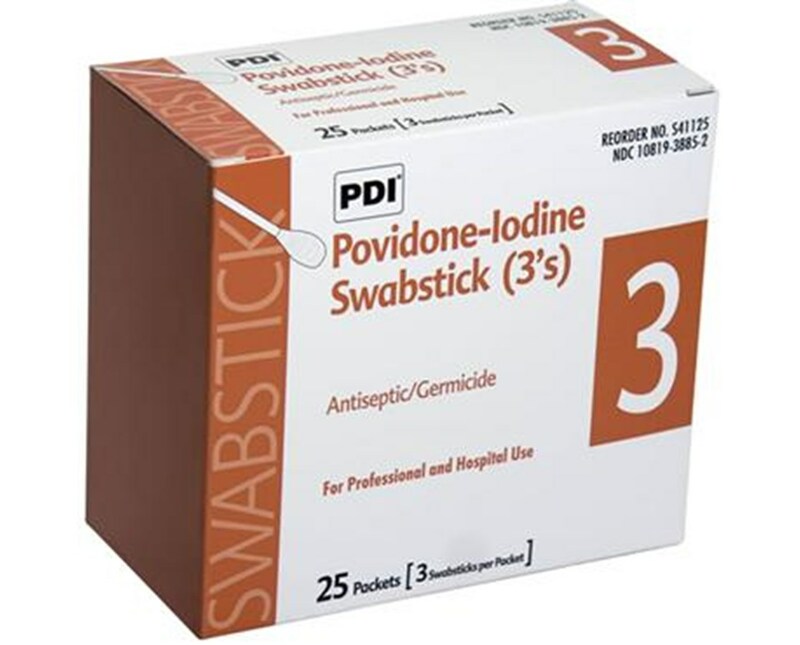 We offer PDI's Povidone-Iodine Prep Swabsticks in 1-pack or 3-pack configurations, sold by the box or the case. Select from the drop down menu above and order online direct by clicking "add to cart!"